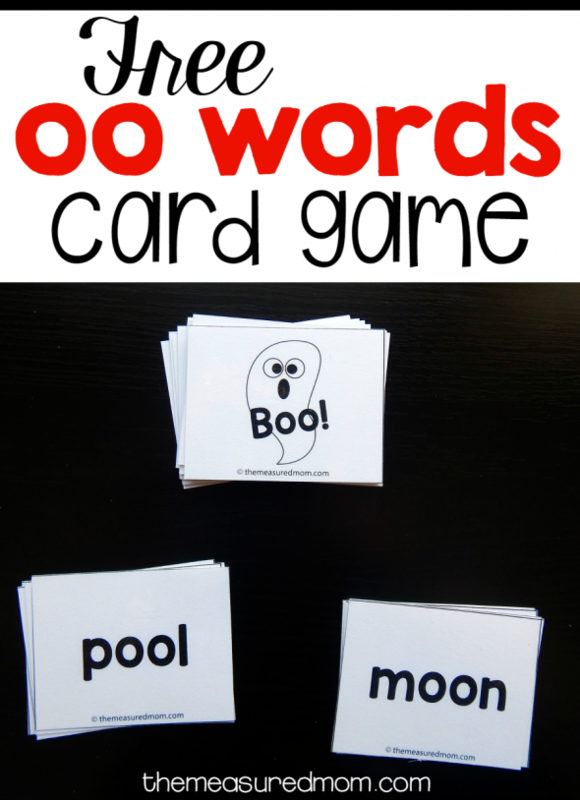 Here’s a simple card game for learning oo words! After compiling a huge set of phonics printables for teaching short vowel words and silent e words, we’ve moved on to vowel digraphs. A vowel digraph is two vowels that, together, make one sound. 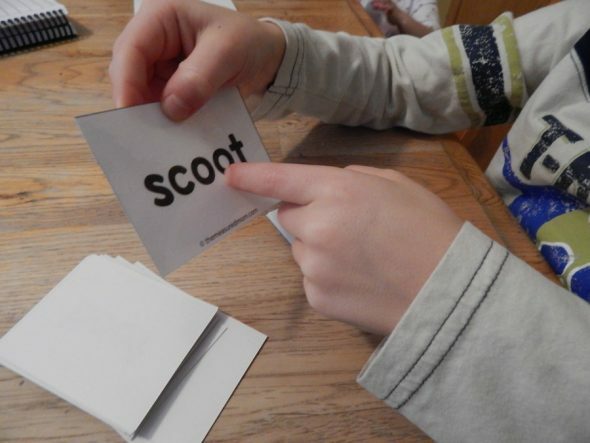 My Five and I are currently working on “oo” words. 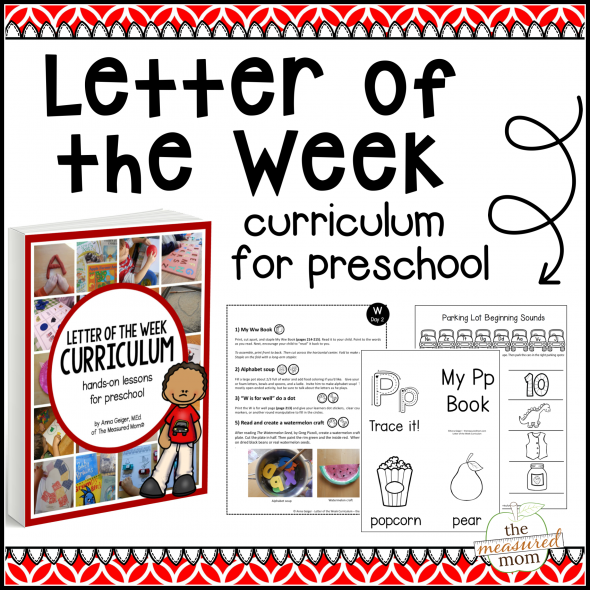 After sharing our Froot Loops word making worksheet, it’s time for a printable game. This game focuses on the sound oo as in moon. Print the cards and cut them apart. Place the cards, face down, in the center of play. Take turns flipping over a card and reading it aloud. While my Five reads quite well for a kindergartner (these are his current favorites), his phonics skills are lagging a bit behind his comprehension. 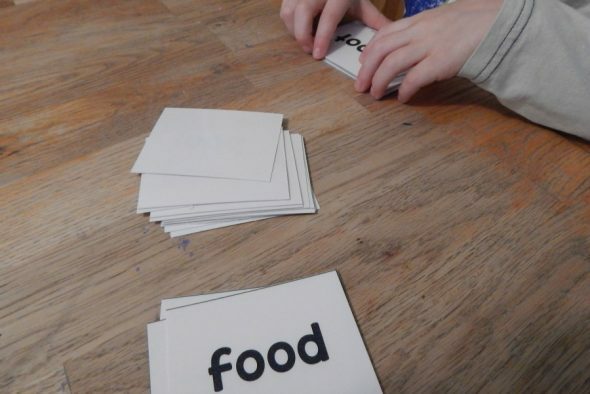 He can figure out words using context, but when he sees those same words in isolation he makes a guess. 4. Watch out! 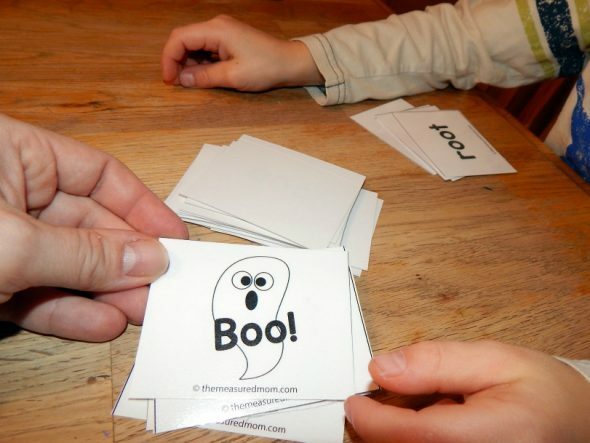 If you get a “Boo!” card you have to put all your cards back in the center pile. Put the ghost aside so he doesn’t get drawn again (there are three ghosts in the deck). 5. When the center pile is used up, count to see how many cards each player has. The one with the most cards, wins. thanks for this -00 cards, they will help my students. Thanks so much for the BOO game! The kids are going to love it! I hope they do, Kelli! You’re very welcome, Geraldine! I hope you find many helpful resources on my site! Thank you so much for this game! Your resources are a blessing to our family!! My favorite site. 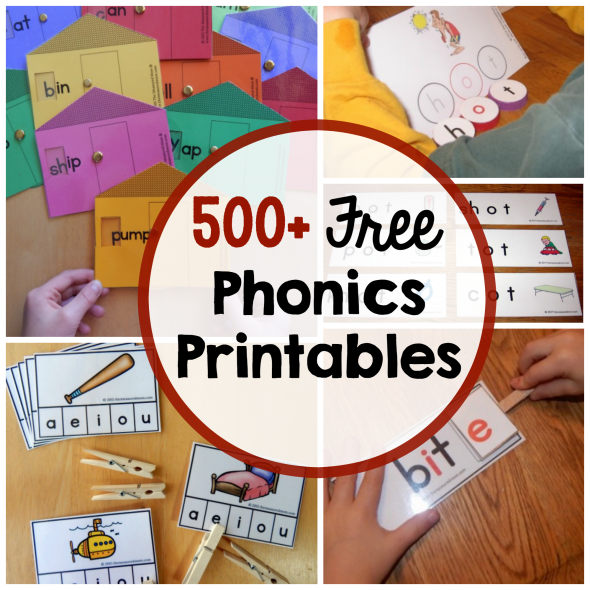 Thank you so much for all the free printables! I volunteer at an underprivileged school where I teach second language English to Grade 3 and 4. Pretoria South Africa.